(Press-News.org) MADISON, Wis. - Orchids, a fantastically complicated and diverse group of flowering plants, have long blended the exotic with the beautiful. Most species live on trees, often in remote, tropical mountains. Their flowers can be strange -- one even flowers underground, and many species deceive their pollinators into thinking they are good to eat. Some are florist's staples, like phalaenopsis, the hot-pink and white flower that is easy to grow and easier to sell. Beyond the "job" of looking beautiful, only the vanilla orchids have any commercial role. The estimated 25,000 orchid species outnumber mammals, reptiles and birds combined. Previously, botanists have proposed more than a half dozen explanations for this diversity. Now, research from the University of Wisconsin-Madison, published last week in Proceedings of the Royal Society B, corroborates many of these explanations, but finds no evidence for other logical suggestions, such as that deceitful pollination. "It was surprising that many classic characteristics of orchids -- the tiny, dust-like seeds, the role of fungi in triggering germination, the fused male-female flower parts that define the orchid flower -- did not trigger the acceleration in species formation," says Thomas Givnish, a professor of botany and first author of the new study. To build a family tree for the orchids, the scientists sequenced genes in the green structures, called chloroplasts, in which plants transform solar energy into sugar. 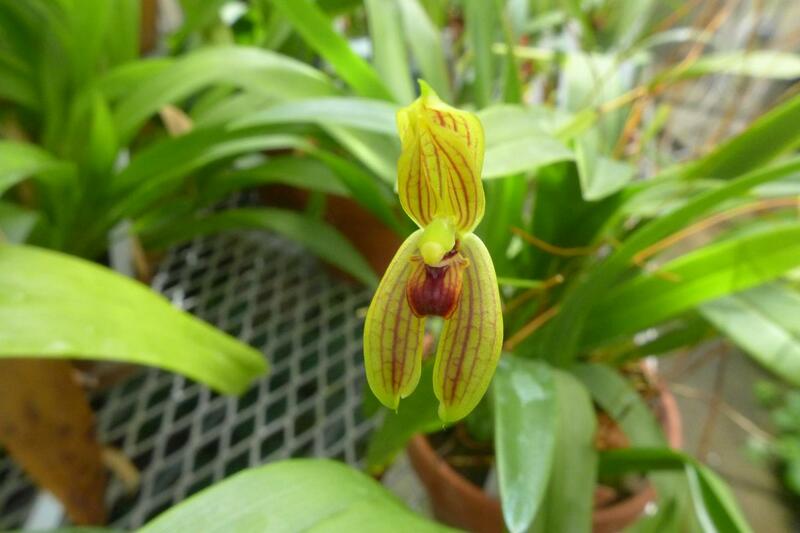 The researchers looked at chloroplasts from 39 species, strategically placed throughout the orchid family, then added genetic data on 150 more species. By tying their molecular family to fossils of known ages, Givnish and his colleagues created a branching structure that indicated how many million years ago each major group of orchids appeared. 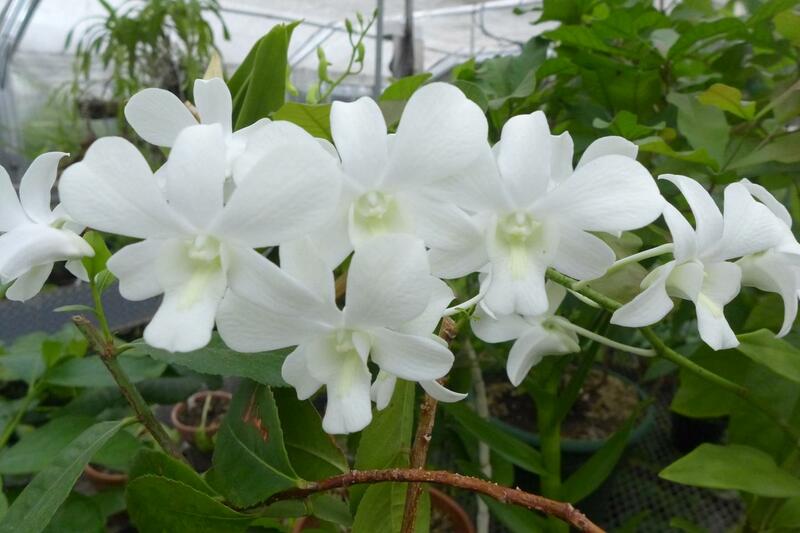 Then, based on the numbers of species known in each of these groups today, the researchers were able to calculate the rate of species diversification in each and test the many putative causes of the explosion in orchid species. They found that the factors that most greatly accelerated the formation of new species were life in extensive mountain ranges (like the Andes and New Guinea Highlands); the evolution of epiphytism (life in the trees); pollination by orchid bees, moths, or butterflies; and origin of pollinia (packages of hundreds to thousands of pollen grains dispersed as a unit). Givnish and his colleagues found that initially, orchids speciated no more rapidly than their closest relatives, and at a slow rate relative to flowering plants as a whole. Then there were three waves of accelerated speciation beginning 60, 40 and 33 million years ago. Pollinia apparently sparked the first acceleration in speciation, Givnish says. The origin of epiphytism -- and the invasion in tropical mountains with a constant swirl of clouds and rain -- sparked the second, greater acceleration. The invasion of the Andes as they were being uplifted triggered the third and greatest acceleration. Interestingly, a surprising number of proposed explanations for orchid diversity failed the new test. Not even deceitful pollination (present in about one-third of all orchid species) was linked to accelerated speciation, Givnish says. "Orchids, almost alone among flowering plants, have a large number of species that lure pollinators by mimicking a mate, or a nesting site or food resources -- 'lies all for the sake of love' -- but such deceit seems to have played no role in accelerating the formation of new orchid species." Chloroplasts were a useful source of DNA for the study, Givnish says. "There are thousands of chloroplasts per cell, and many loops of DNA per chloroplast, and the genome structure is quite stable." Mercedes Ames of the UW-Madison Department of Botany sequenced most of the chloroplast genomes. Other UW-Madison collaborators included Daniel Spalink, Alejandro Zuluaga, and orchid specialist Kenneth Cameron, director of the Wisconsin State Herbarium. Collaborators in Australia and Chile provided DNA for the study, and W. Mark Whitten and Norris Williams of the University of Florida provided genetic data. Looking at the orchids as a family, Givnish finds "not one spark for their extraordinary diversification, but many. Many hypotheses advanced by previous investigators proved to be correct, but some of the defining characteristics of orchids -- their tiny seeds, their requirement for fungi to germinate, and their fused pistils and anthers -- were not themselves responsible for the high rate of orchid speciation. Only later, when the orchids acquired pollinia, started to grow in trees, and then colonized the cloud forests along extensive mountain ranges in the tropics, did the orchids' unrivalled diversification begin."